A lot of people must have seen Grosvenor and Hilbert Park from the train, which is how I first saw it. However, as the Friends group was set up, it was interesting to hear how many local people had never visited the park, and some who didn't even know where it was. Someone who had never visited was local writer/producer/director Samuel Marlow. 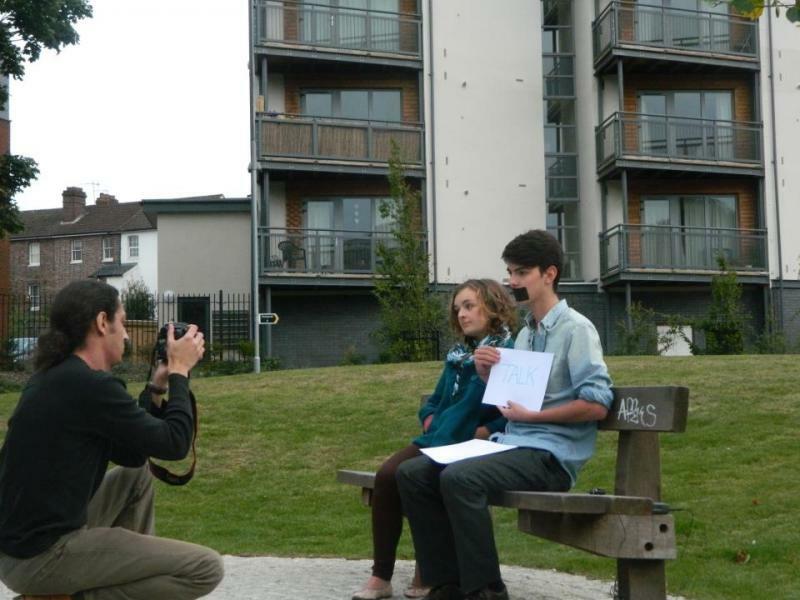 Having made various short pieces around the town with Scott Kingsnorth ( see YouTube kingsnorthlobotomy “Walking the Dog Sketch” ) we invited Sam to the park to record my piece for his Electric Lantern Festival “AudiToury”. Sam really liked the park, well who wouldn't? and realised it would be ideal for an upcoming project he was involved in. 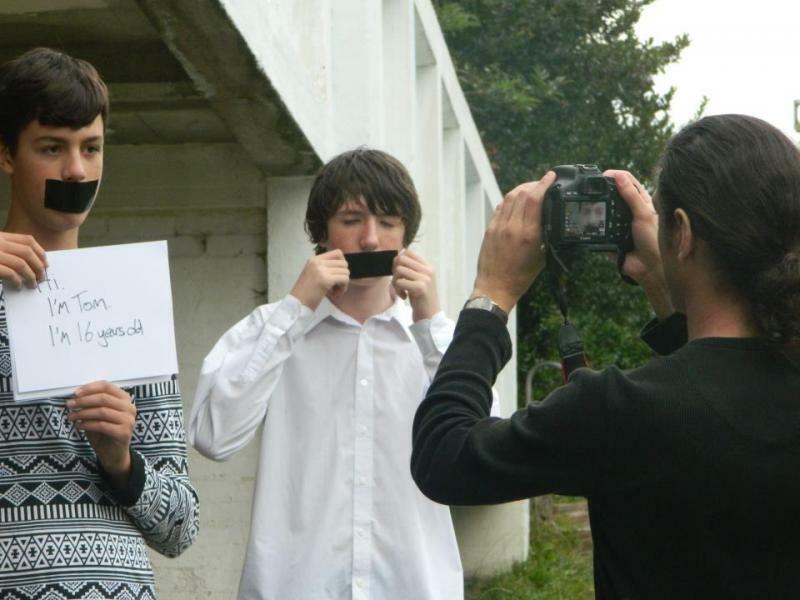 Safe for Kent is a new youth led project, part of Voluntary Action Within Kent (VAWK). 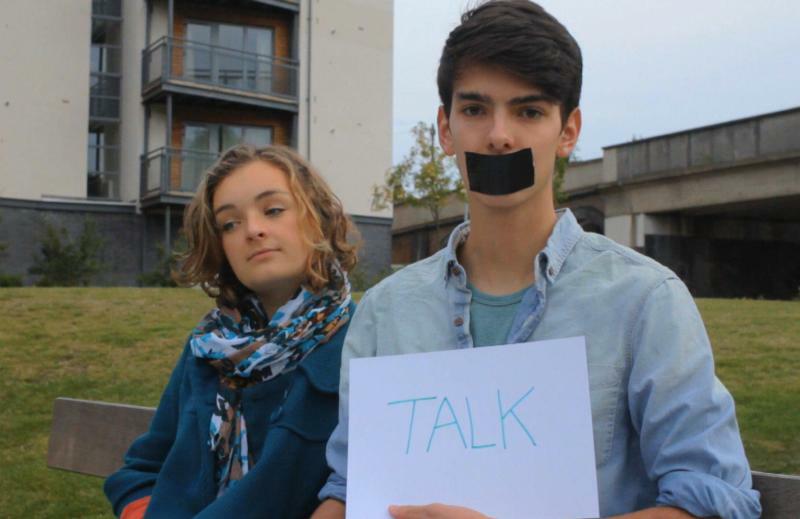 Safe stands for “Suicide Awareness for Everyone"; the committee is made from a group of local sixth formers and the plan is to raise awareness of the support and help that is available to young people, who may feel they have un-solvable problems. 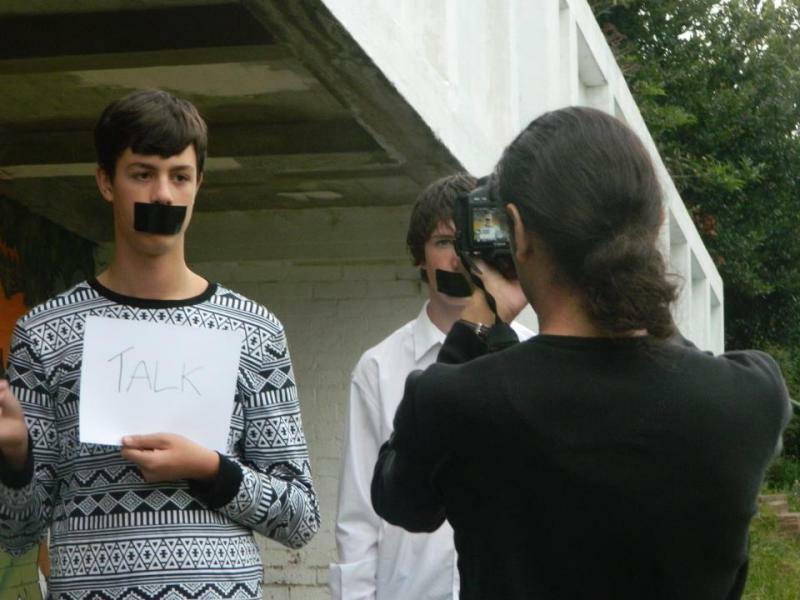 The committee decided the first and best way to reach out would be to make a video that could be shown in schools and on you-tube. Looking for a way to make the video, VAWK contacted Trinity Theatre, where Sam works with the Youth Theatre and School of Shock. 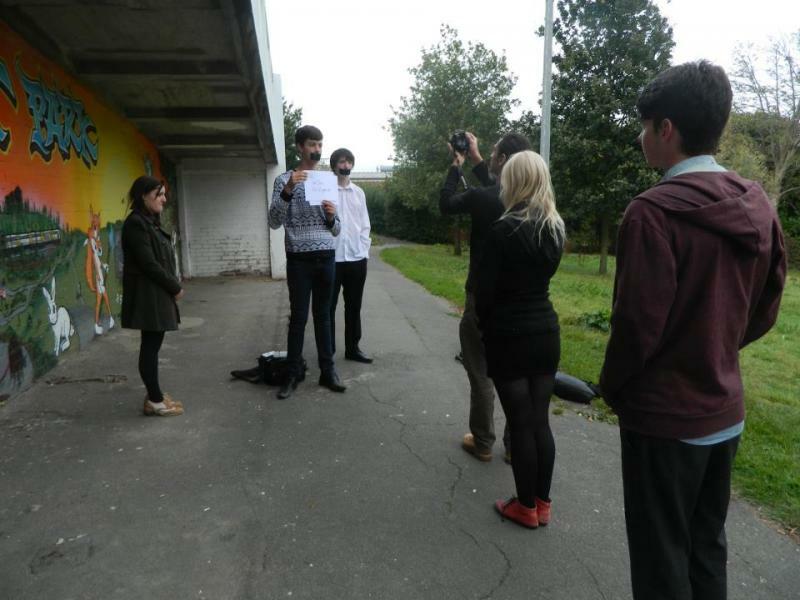 Sam set out to find most of the locations and used actors mainly from Trinity Youth Theatre. One scene was filmed in Grosvenor and Hilbert Park, by the Overspray mural, and another scene on the benches at the Grassy Knoll, which is technically outside the park... 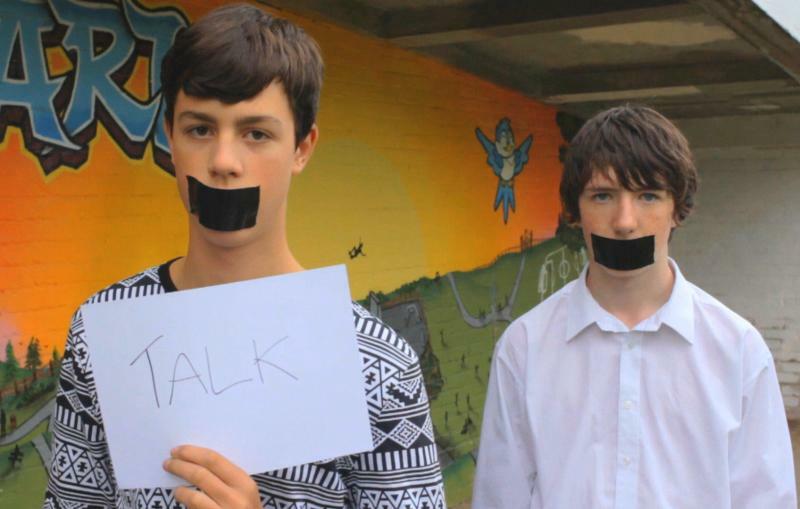 The aim of the video is to get young people to talk, rather than keep their thoughts bottled up. 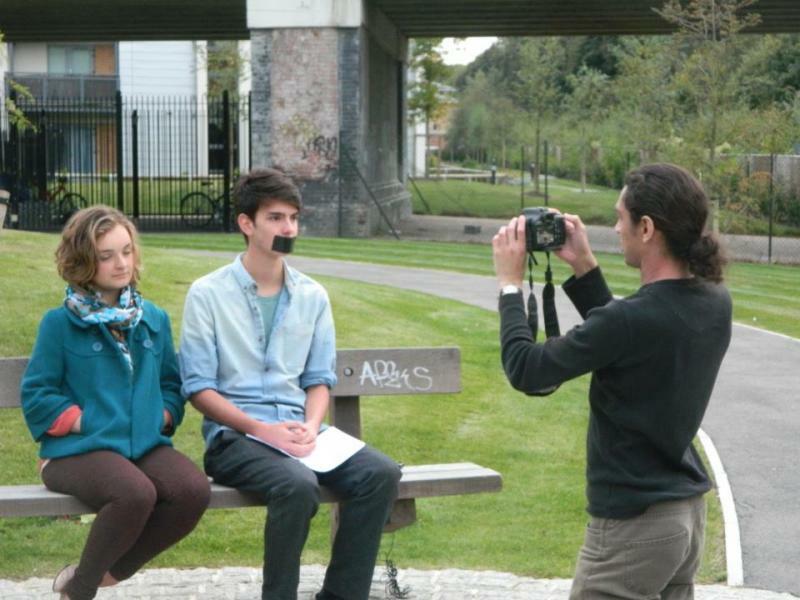 The actors in the video range in age from 11 and starting secondary school, to 20 and being at university, and while they are actors, the stories all came from research carried out by Safe. 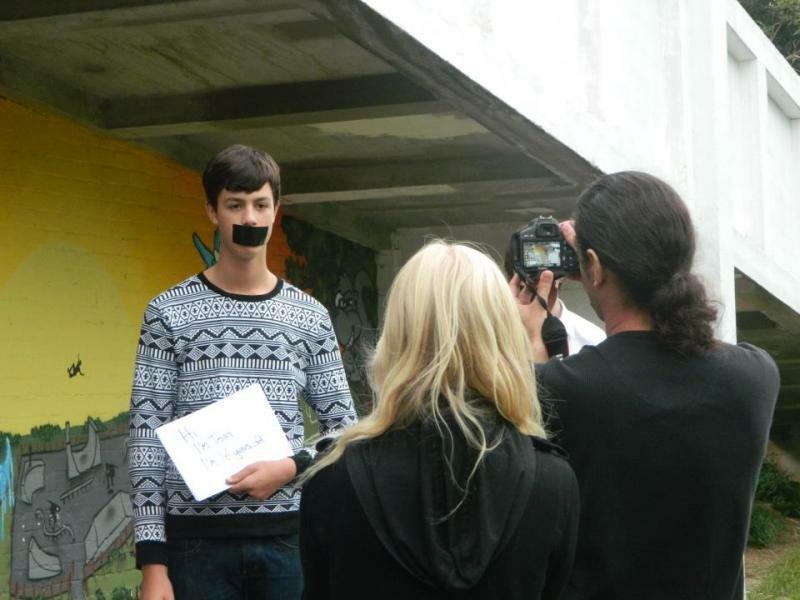 I went along to get a couple of photos for FoGH website and newsletter, but, met by a group of teens with Sam, and also Vicky Lawford from Safe, and a roll of duct-tape, decided I would stay for the whole filming - just in case any questions arose from the general park users. Most people passed by with curious looks, as the group filmed and re-filmed the short pieces around the noise of trains and planes. Hopefully the photos explain what is happening in the film. The final video involves other scenes you may recognise around the town, and should be available to view in the next week. FoGH hope that the video will be helpful in promoting Safe within schools; also we are pleased that the formation of the Friends group is helping to increase the presence of the Park within the town. The TWBC Council will be discussing the Lottery Bid this morning. Attached is an extract from the council papers covering this subject. Hopefully all will be approved as recommended and we can move on to the next stage with gusto!! 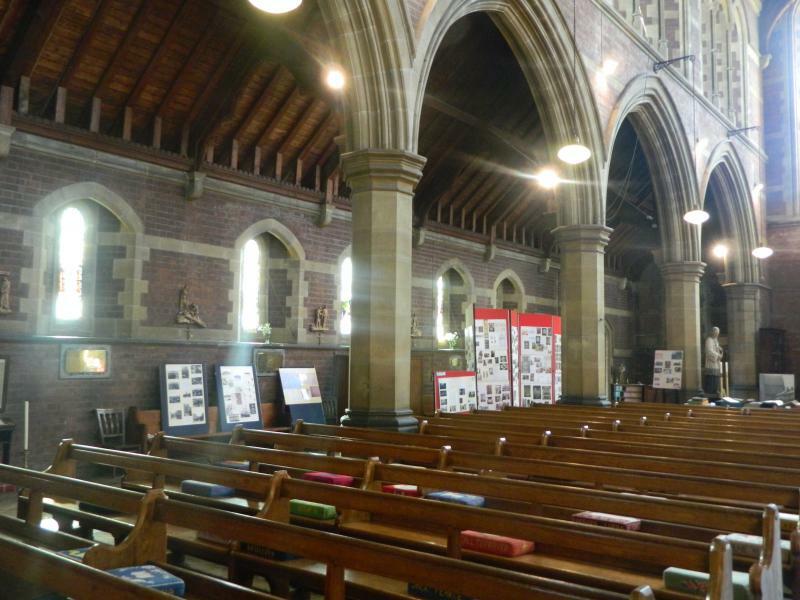 The Friends of Grosvenor and Hilbert park were invited to attend the annual Open Days at St Barnabas Church. Local historian Geoff Copus has spent several years collecting old photos, articles and researching the history of the whole parish. FoGH occupied two tables, and displayed not only Geoff's research on the park, but information provided by Tunbridge Wells Borough Council, and our own, growing, collection. We also took a bundle of old newsletters and membership forms – especially with all the news about the HLB and Art for the Grassy Knoll. 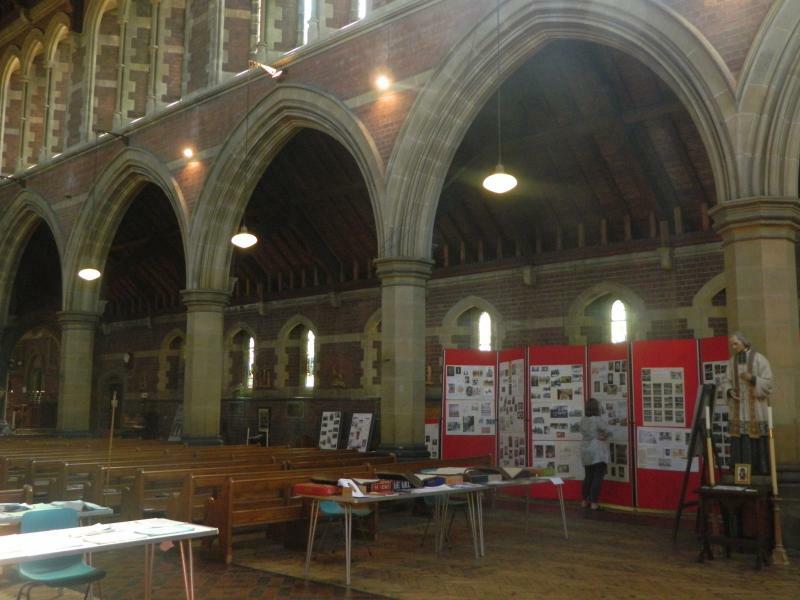 There was a steady flow of visitors to the church, although a lot of them spent time in the vestry with tea and cakes, we had many conversations about the swimming pool, Satellite Club, and plans for the future. In quiet times we also had chance to wander around and read the funeral ledgers of J Kempster & Sons, census records of the parish and the information boards. 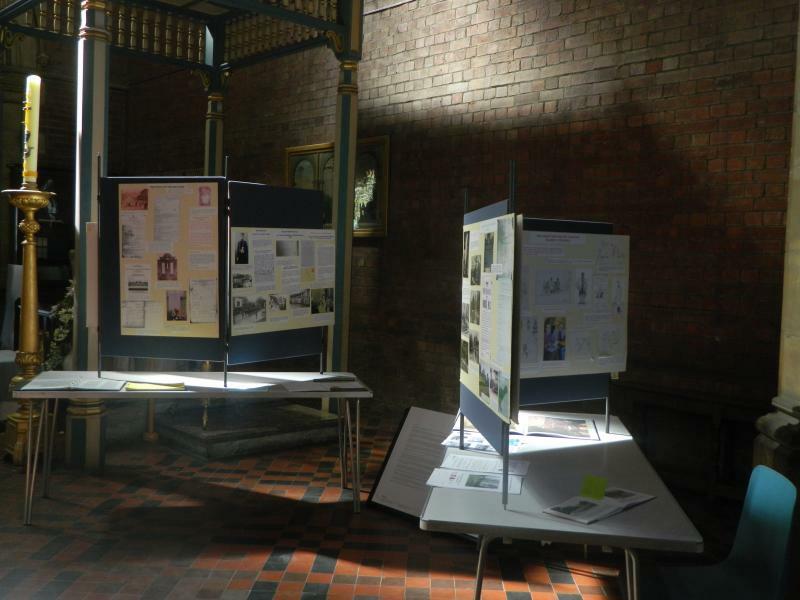 We would like to thank all those that gave us the chance to attend and helped with our display: St Barnabas Church, Geoff Copus, Tunbridge Wells Heritage Open Days, Tunbridge Wells Borough Council. Also to thank all those that visited. If you have any memories of time spent in the park, please send to us through the editors. Heritage Open Days are an annual event where historical houses and places throughout the country open their doors (and gates) to give the public a real insight. Last Sunday, 9th September, a group of fifteen or so met at the Hilbert Road entrance to the Park to join Dr Ian Beavis on the Heritage Open Day walk. An annual opportunity in which we could take note of the many unique features, both present day and historical, that are to be found there. We were especially lucky to be meeting on what proved to be a day of glorious late summer warmth and the Park had a good number of visitors enjoying picnics and barbecues or just soaking up the sunshine. During the course of the walk we went to the older Grosvenor Recreation Ground area, down to the lake and dripping wells where Dr Beavis talked about the origins of the Park and the design that developed from the former Calverly Water works reservoir. We looked on at the tarmac football pitch and the play area and just imagined what it might have looked like if it was still a swimming pool! History in the making at the railway bridge, the mural was much admired and photographed before we went ‘down to the woods’. A chance to look more closely at some of the plants that are special to this part of the park and we saw some nice late summer butterflies enjoying the afternoon sun. After all the rain that there has been earlier this year the woodlands were looking wonderfully green for late summer and the streams were all well supplied with both clear water and chalybeate at their separate locations. We were all most appreciative of Dr Beavis’s very interesting information. We Made That is an architecture and design studio established in 2006 and have proposed the installation of a ‘civic stop’ onto the grassy knoll site. They propose a community-based commission that will happen in several stages. 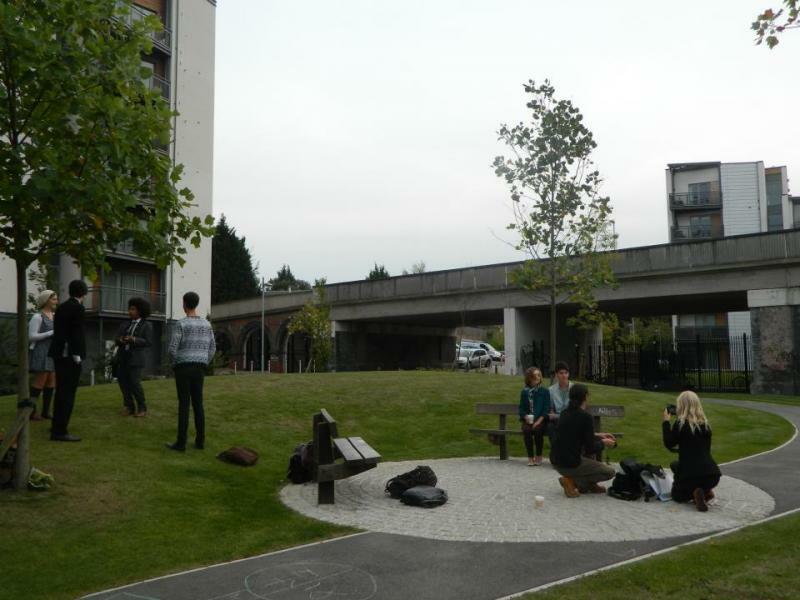 The design process will start in September and involve working with the Friends of Grosvenor & Hilbert Park. The artwork will be created in two stages. Firstly, We Made That will source local stone and create a sculpture that leads skywards. Secondly they will organise a community event when people can come and work with them to create designs for carving into the sculpture. 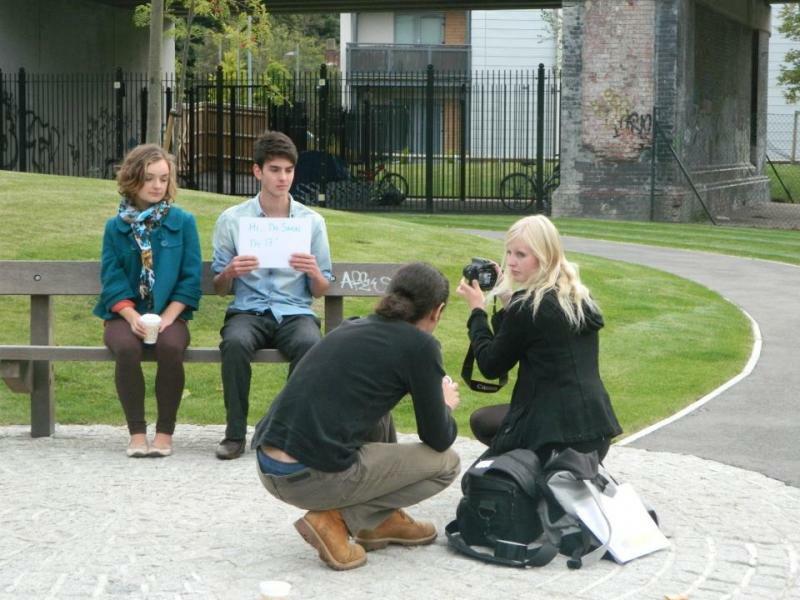 The resulting piece will encourage people to stop, look at their surroundings and chat. The Grassy Knoll is an important entrance to the Grosvenor & Hilbert Park and we, the friends and users of the Park, are very pleased that it is to be marked with what will be one of relatively few major art pieces within Tunbridge Wells. This, together with the mural by the Overspray Studio recently added to the Upper Grosvenor Road footbridge, means that Grosvenor & Hilbert is fast becoming the place for community art in Tunbridge Wells. We welcome this. We particularly like the "Civic Stop" as it relies on community involvement. We fully intend to play our part in this while working with the wider community. What form this takes is yet to be decided but you can be sure this will be fully documented on our website and through social media. The next few years will be an exciting time for the park, if you want to have a say in how the park develops then please contact us. The Friends of Grosvenor & Hilbert Park was created in 2011 to support the bid for Lottery Funding and has since been instrumental in raising the profile of the park within the town.